Commonly found scuttling around kitchens and bathrooms after dark, silverfish are more than a mere annoyance. If given the opportunity, they can cause huge amounts of damage to any objects that contain a lot of starch- including photos, books, and even plastering. Silverfish have a rather unusual name amongst insects, which they were given due to the unusual way that they move. Rather than walking in a straight line, silverfish wiggle their way along surfaces in a similar motion to a fish swimming through water. They also look somewhat like a fish, with silvery scales and a comparable body shape. 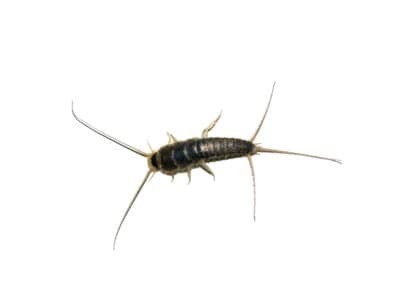 Silverfish are relatively hardy insects and are thus capable of surviving in a multitude of different environments. 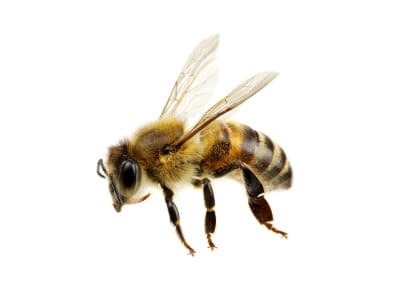 In general, though, they prefer warm, damp areas with humidity levels of more than 75%. 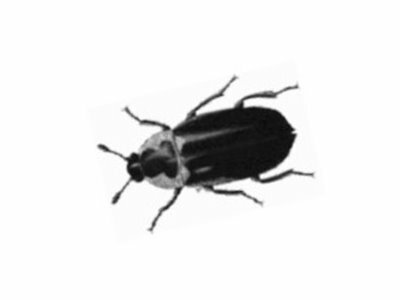 While mostly nocturnal, this is more due to their inclination towards darkness, and they may therefore be active at any time of day when present in areas such as basements. 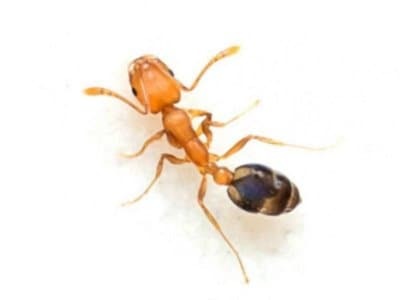 Their preference for moist locations means they often congregate in kitchens and bathrooms, but contrary to popular belief, they do not live in the drains themselves. While they can run fast along horizontal surfaces, silverfish have very poor climbing skills. Should they end up falling into a sink or bathtub, they will have an incredibly difficult time getting out- which has led to this persistent urban myth. Silverfish have what’s known as “negative phototaxis”, which means they will instinctively flee from light. 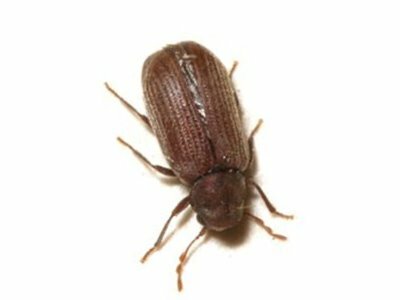 This is why you will often spot them if you turn on a light in the middle of the night- the nocturnal insects will then scurry away to find a place to hide. 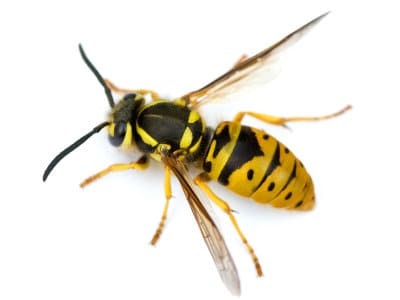 In fact, this is often the only time when people realise that they are sharing their home with these pest insects, as they will generally only come out when everyone else has gone to bed. With a lifecycle of around two-and-a-half to three-and-a-half years, silverfish are rather long-lived for insects. 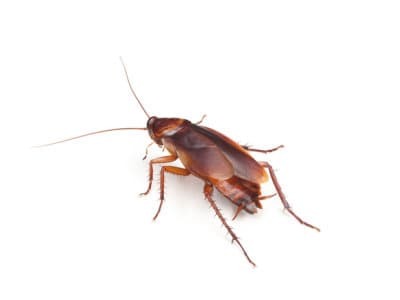 This also means that even a handful of silverfish could easily lead to a full-blown infestation, as adults lay one to three eggs per day throughout their maturity. The average female silverfish will have an average of 2000 offspring during her life- so it’s easy to see why these pest insects are so common. Just as the name “silverfish” describes what these pest insects look like, their scientific name outlines why they pose such a problem to humans. “Saccharina” is Latin for starch, and this is what silverfish will actively seek out to feed upon. They aren’t fussy about what they will eat, meaning a large silverfish population can quickly cause significant damage to photos and books. If you open up a book and find that the pages are full of holes, then it is a pretty safe bet that silverfish (or one of the other insect species closely related to them) are to blame. 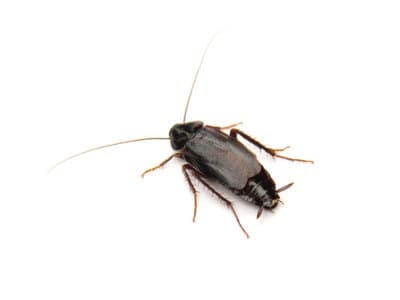 Another popular food source for silverfish is wallpaper paste, meaning they may actually strip the paper away from the wall as they eat the paste beneath it. Fortunately, while silverfish can survive in many different habitats, they are not so hardy when it comes to pesticides. 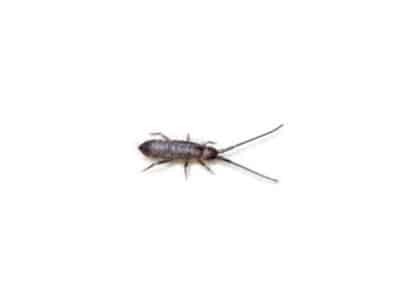 They are easily killed by some of the most common pesticides, and it is thus simple for a professional pest controller to take care of a silverfish infestation. 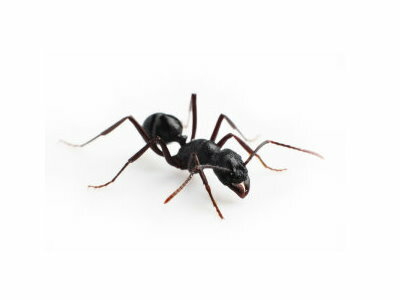 You will often be able to take on smaller infestations by yourself, but the problem is it can be difficult to assess the scale of an infestation since the pest insects only come out at night. You may want to take advantage of one of our free, impartial surveys to find out how widespread the problem truly is, and whether or not you will need expert help in dealing with it.